In 2014 the cult classic Marvel movie became the catalyst for the resurgence of tape cassettes. It takes an excellent film to create a pop culture movement. 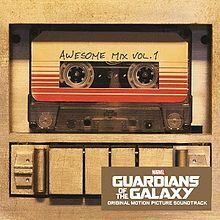 One of the primary objects and part of the storytelling was the central charge Star Lord’s tape cassette with Awesome Mix Tape Volume 1. When you have a fantastic character using something so quirky in outer space which create his only real connection to Earth it says a lot. This movie was one of the few that joined multiple generations from the ones who first heard of Guardians of the Galaxy to those who became exposed to it for the first time. When you try to explain to a kid what a tape cassette is you can now use the example of the movie and how the main character used it. Instantly the kids who saw the movie will ultimately understand as if it was something they grew up among. There only seems to be people who hate Justin Bieber or those who love him. Regardless of your perspective on the musician, he has an impact on pop culture. In this instance, his contributions have caused a spark in sales in tape cassettes. Justin Bieber released Purpose on cassette tape. It’s very hot right now, and in the trendy places around the world, people are buying cassette tapes quicker than ever. Ironically this cassette is super hard to find. For some individuals who have been collecting for years, they are finding it harder and harder to find records at a good deal. 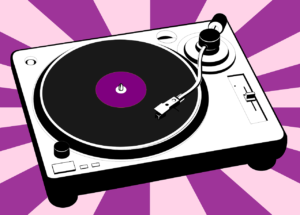 Vinyl records are in high demand and there supply at times tends to cause an overabundance easily found items and a sparsity of highly sought items. In some situations, collectors enjoy the search and hunt for finding good deals and treasure. The term crate digging was stemmed from the first digging for treasure. Sometimes you can find excellent deals however now with the way things are going it’s harder to see a diamond. Cassette tapes allow diggers to find still great music that is tangible and might be overlooked by the untrained eye.